In Arizona, an uncontested divorce is one that proceeds by default. That means that one party files for divorce, and the other party chooses not to participate in the divorce process. 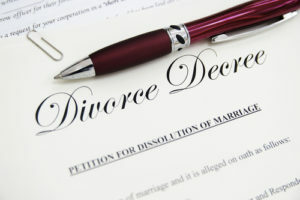 The Arizona divorce then proceeds by default, meaning the filing party goes to a default hearing, and the Court enters a divorce decree without the other party’s participation. In some situations, we offer a flat fee for uncontested divorces. Contact the Law Office of Karen A. Schoenau today to learn more. Call us at 480-467-3435, toll free at 888-304-0928 or contact us online. For your uncontested divorce to be approved by the court, there are important issues that need to be considered – specifically, whether or not the state of Arizona has personal jurisdiction over your spouse. If there is no jurisdiction, the court is unable to make financial decisions and property distributions. At the Law Office of Karen A. Schoenau, we will guide you through the uncontested divorce process and make sure that your rights are protected. Arizona divorce lawyer Karen Schoenau has more than two decades of experience in family law and divorce-related matters. She knows the law and can swiftly and cost effectively guide you through the marital dissolution process. Whether your divorce is uncontested, contested, or settled by agreement, we can help. Talk to our experienced lawyer to see if you are able to file for an uncontested divorce. Contact us at 480-467-3435 or toll free at 888-304-0928.